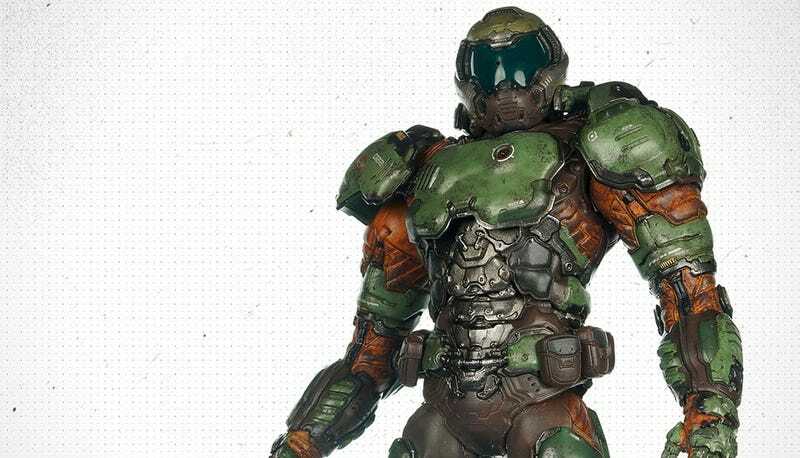 Fresh off those Destiny figures that I’m still getting over, 3A said this week they’ll also be releasing a piece based on the new Doom game. I’m not feeling this one anywhere near as much, mostly because I found the new marine’s design a bit too “Generic Xbox Shooter Man”—which doesn’t translate as impressively in action figure form—but if he’s your thing you’ll probably dig this. The detail on stuff like the fingers and the guns is crazy. It stands 13 inches tall and will sell for $260.